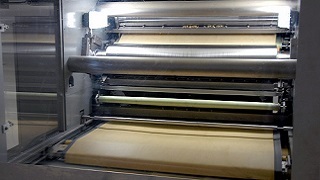 Mixed dough is transferred to the forming machines using a dough feed system. Batches are converted into a continuous flow and the dough is metered into the hopper at the correct rate and in optimum condition for efficient operation. Each system is designed to match the specific plant output and product type. 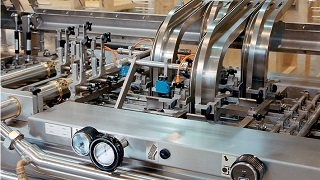 Systems consist of a number of unit machines and conveyors incorporating hygienic design features. 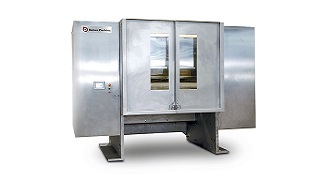 Dough feed systems deliver dough in the correct condition for the forming process. 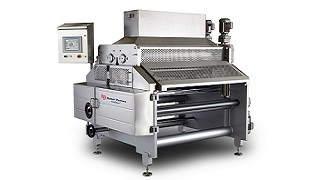 The systems are designed for timely transfer without delay, taking into account any requirements for resting and conditioning of the dough. 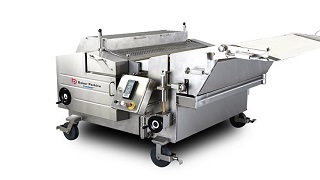 Metered feed systems include cutting and chopping machines to ensure that the dough is evenly spread across the full width of the forming machine. They also ensure that the level of dough in the hopper of the forming machine is constant and that it does not ‘bridge’. Both these characteristics are essential for accurate control of product weight. A metal detector can be inserted into the system to prevent damage to the forming machines. 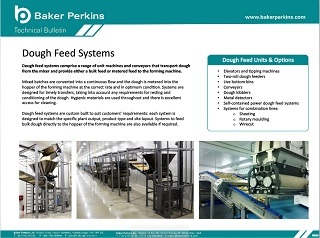 Dough feed systems may be part of a fully integrated process, from mixer to wrapping machine. 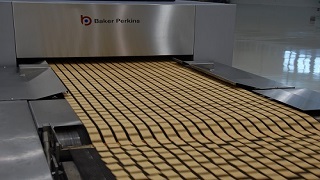 Dough is not mixed until it is required downstream. A stoppage at any point will cascade back through the plant and stop production. 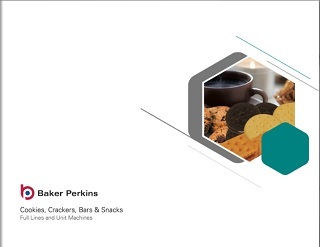 Systems to feed bulk dough directly to the hopper of the forming machine are available if required.